I kind of thought most people knew this trick but I just explained it to a friend and blew her mind. 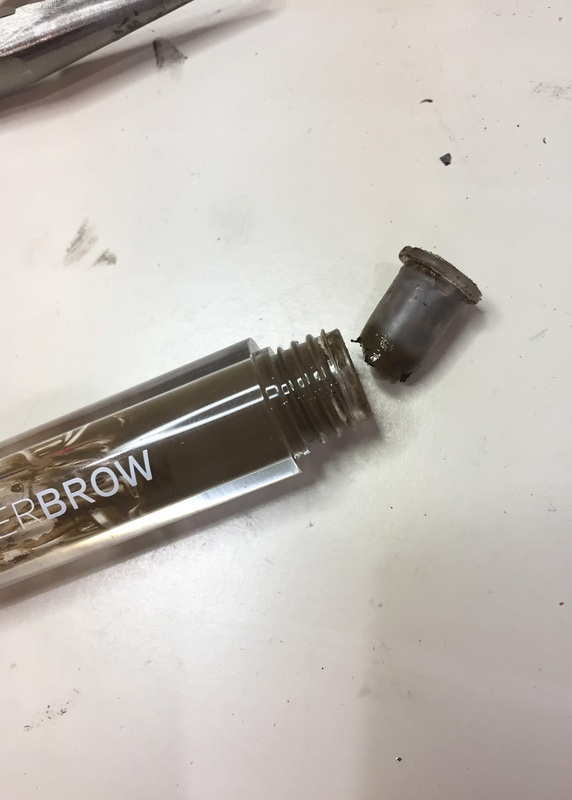 SO, here are some really ugly pictures I took in my husband's lab just now to explain how to get as much as possible out of makeup tubes with that annoying packaging that leaves a lot left at the top and bottom. I LOVE my Wunderbrow but the packaging is so annoying. Fortunately, there's a way to get at ALL that product left at the top and at least a little bit from the bottom. Products like this have a rubber gasket at the top to scrape excess product off the brush when you pull it out. 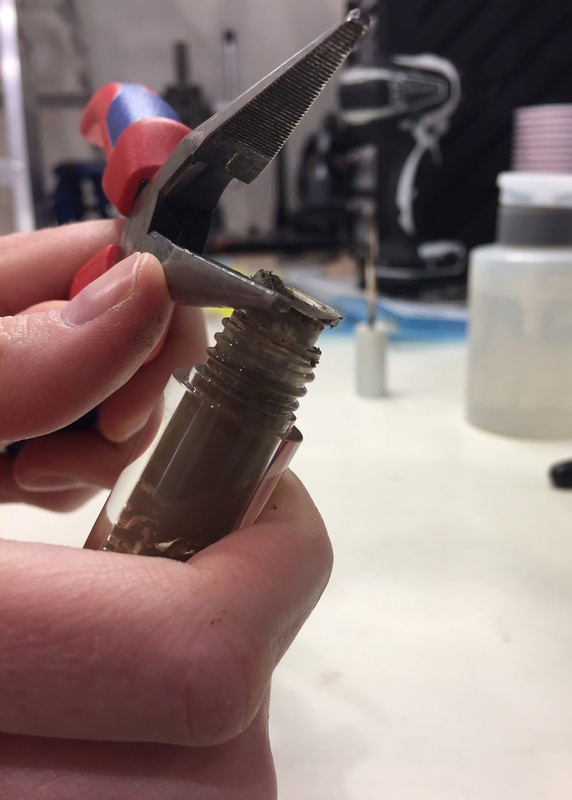 I suspect it also helps keep the product from drying out since it limits airflow into the tube, so don't do this until you're pretty much at the end of what you can reach with the brush. It serves a purpose but it also limits how much you can get out. Take a pair of needle nosed pliers and force the edge between the gasket and the edge of the makeup tube. Remove, rotate the tube and do it again. Work your way around the perimeter and the gasket should start to pop out a little bit. 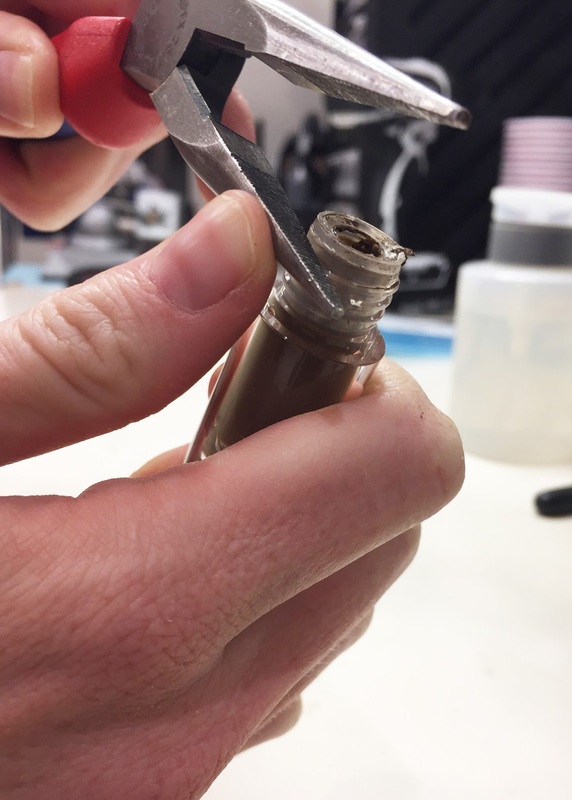 Push the edge of the pliers under the lip and push the gasket up. Remove it from the tube. Done! Now the brush can get at all the makeup stuck up at the top. 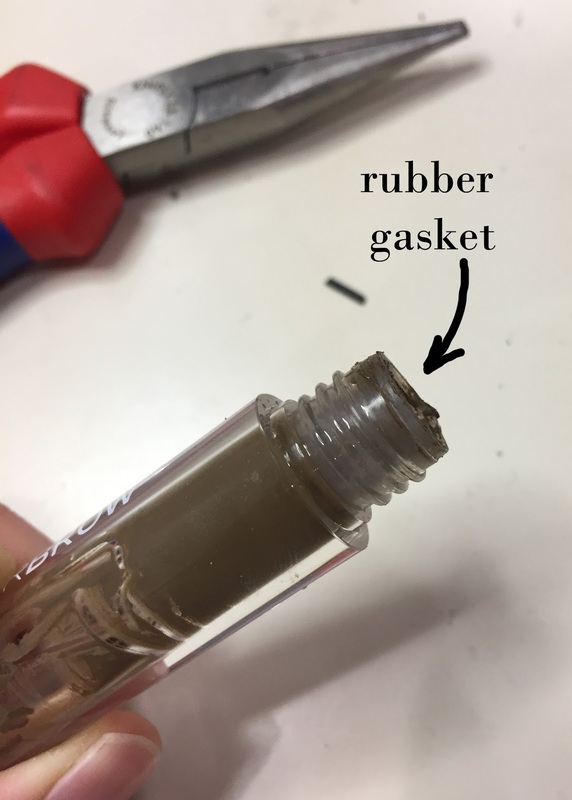 It can also go slightly further into the tube without that gasket in the way so you can get a bit more out of the bottom. 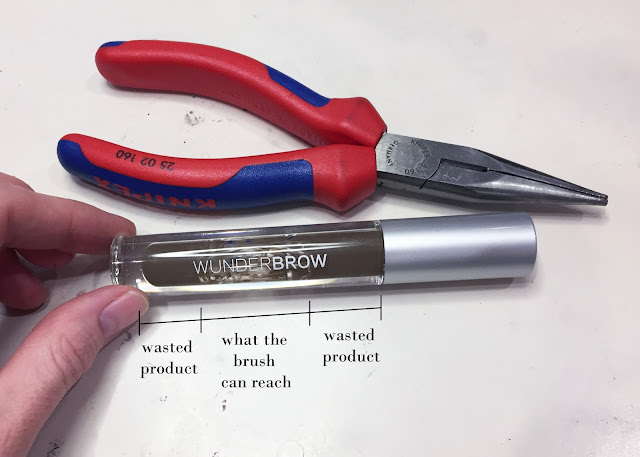 I'll get a couple more weeks out of my Wunderbrow now! Thanks! It's been bugging me that I couldn't get to all the product in the tube!